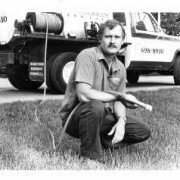 Weed and Feed Lawn Care was started in 1969 by Steve VanNoord. At the age of 14, Steve started mowing lawns of duplexes that his father and brother had built. From word-of-mouth and a small ad in the Grand Rapids Press, his business expanded from duplexes to churches, apartments, and residential homes; including the home of Steelcases’s CEO. During high school and while attending Calvin College, Steve continued to develop his mowing business by adding accounts and hiring employees. In 1975, Steve began to offer snowplowing to his customers. Weed and Feed became a full maintenance company that did mowing, plowing, fertilizing and weed control, bush trimming, and light landscaping. In the early 80′s, large national companies began to sell lawn fertilizing and weed control in West Michigan. Steve saw that their high pressure sales tactics and poor performance was creating and opportunity for a company with integrity and personal service. 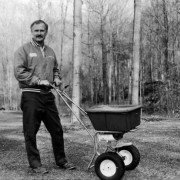 Weed and Feed Lawn Care was one of the first to use a machine to apply granular fertilizer and liquid weed control at the same time. 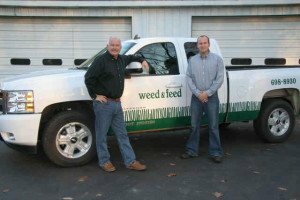 In the last 30 years, Weed and Feed has evolved into a full service turf business. Snowplowing and landscaping have been replaced by many other services such as aeration, grub control, and bee & spider control. In 2004, Weed and Feed welcomed Matt, Steve’s son, as a new addition to the management team. 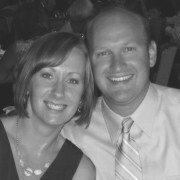 Matt graduated from Calvin College with a business degree and has worked hard to upgrade technology in the office as well as handling the day-to-day operations of Weed and Feed. Serving the West Michigan area since 1969!